Total Solar Eclipses only happen a maximum of 9 times per century and sometimes not at all. The earth’s unique features and cosmic coincidence allows us to experience a phenomenon that can’t be viewed from anywhere else in the solar system. When a Total Solar Eclipse does occur, your location on the Earth determines if you will be able to witness the event. Shockingly, this amazing once-in-a-lifetime event can be viewed from within our state on August 21, 2017. Carbondale, Illinois is only a few miles from this year’s Greatest Point of Duration where you can experience the eclipse for over two and a half minutes at around 1:20PM. Plan on taking a road trip to Southern Illinois so that you can see the astonishing total eclipse of the Sun and mark all of the features that we can experience during a Total Solar Eclipse. If you are planning on road tripping to Southern Illinois to check out the Eclipse, watch for these markers to see the wonders that the Eclipse has to offer: The fun all begins at Contact Point #1, when the lunar disk begins to touch the solar disk in the sky. The sky starts to become dark as the moon moves in front of the solar rays blocking them from reaching the Earth. You may notice unusual animal activity as the sky turns dark. 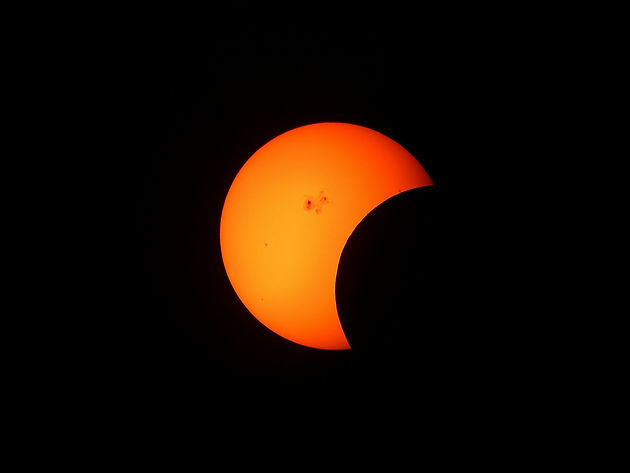 20-30 seconds before the moon completely blocks out the sun, you may notice Shadow Bands. Shadow Bands are swerving shadows that make the ground appear as it is moving as the light shimmers onto the earth. Around 5 seconds before Contact Point #2, when the lunar disk completely covers the solar disk, you may be able to catch the Diamond Ring Effect, a brilliant shine like that of a diamond then quickly appears and disappears on the lunar disk. As the disks almost completely overlap, you may be able to see Bailey’s Beads. This visual event is the product of the moon’s mountainous and rocky surface shadowing against the sun. All of these occurrences will be repeated in reverse order as the Lunar and Solar Disks separate again in the sky. In order to witness this celestial event safely, please remember never to stare directly at the Sun. 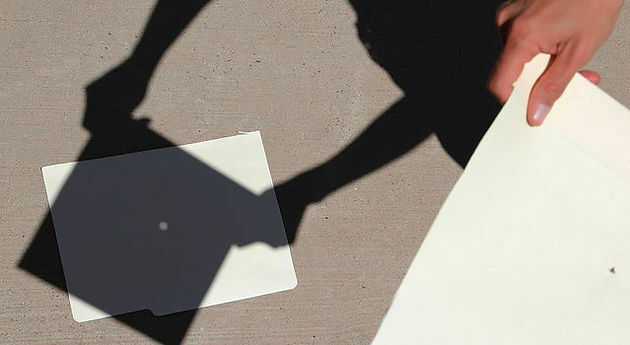 Try making a Pinhole Projector. In just three simple steps, you and your family will be able to experience the eclipse safely. We hope you enjoyed our informative post about the eclipse. Thank you for reading and sharing!